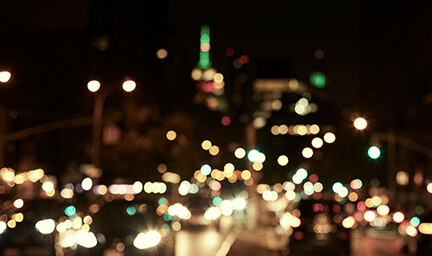 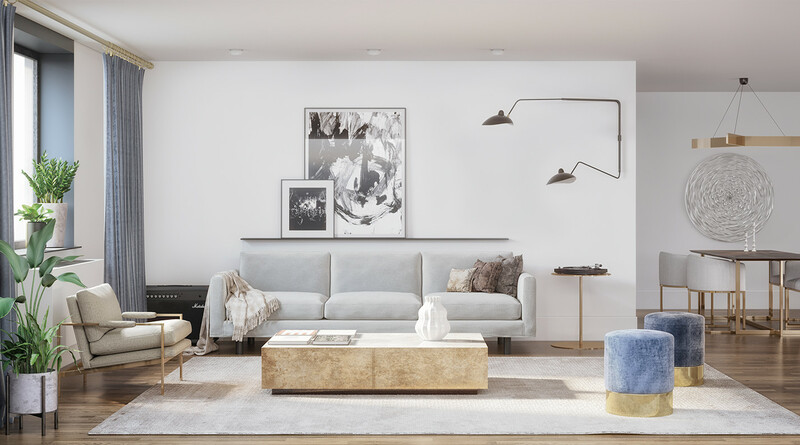 A residence at Liberty Toye evokes the allure of downtown New York City with a style all its own. 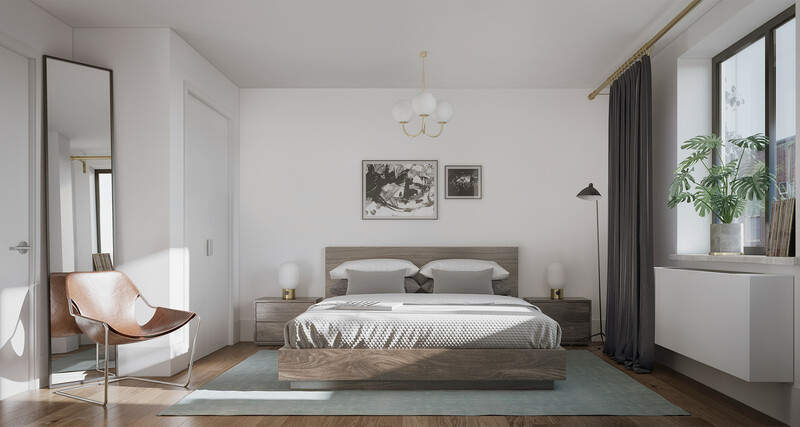 The available studio, one-, and two-bedroom condominiums, some with home offices and private outdoor spaces, showcase dark-stained hardwood floors throughout. 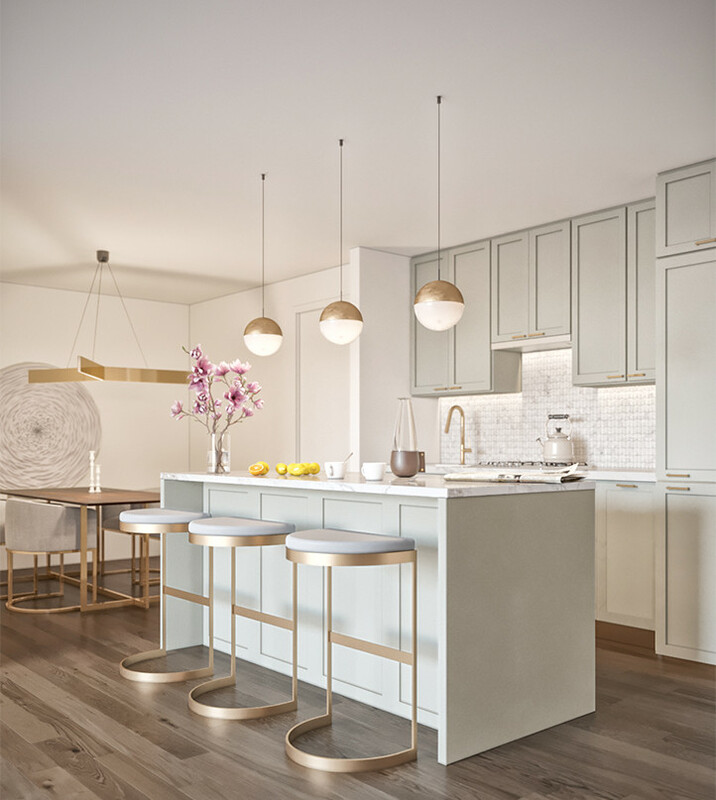 Kitchens, featuring custom cabinets, white marble counters, and brushed brass fixtures, are completed by stainless steel Bosch appliances. 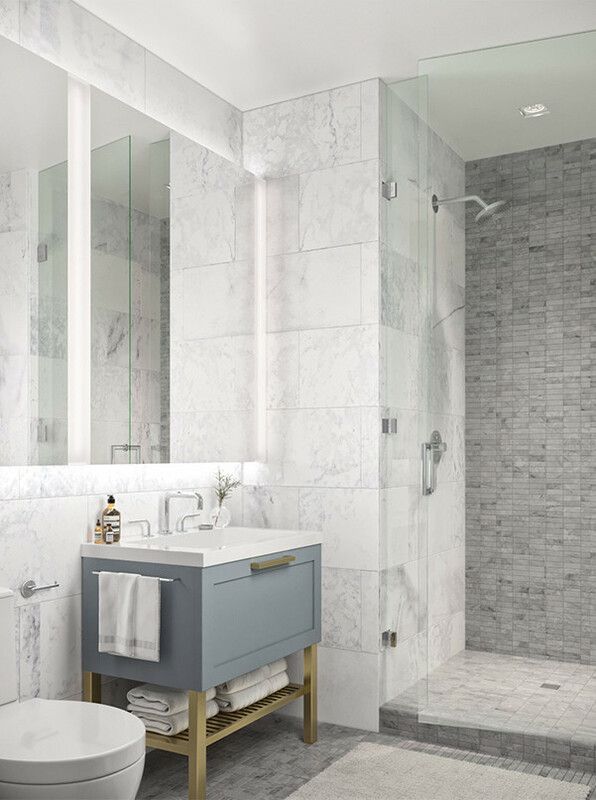 Bathrooms complement the space with white marble, chrome fixtures, and a grey vanity with touches of brushed brass.